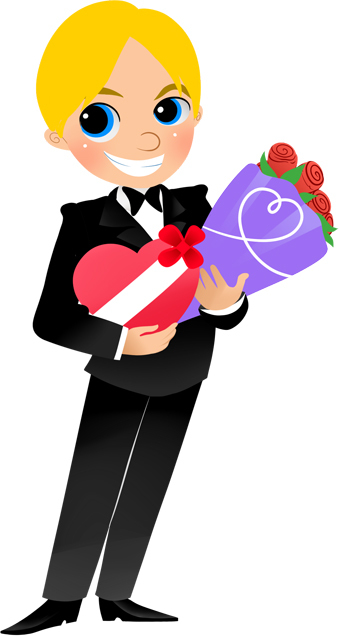 Clip art of a blushing kiss between a young lady and gentleman. 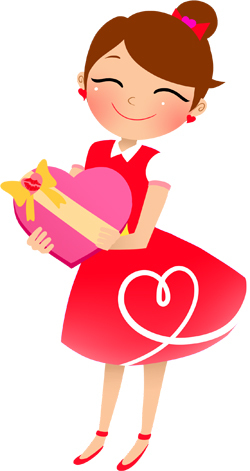 Clip art of a smiling young lady holding a heart-shaped box of candy wrapped with a golden ribbon. 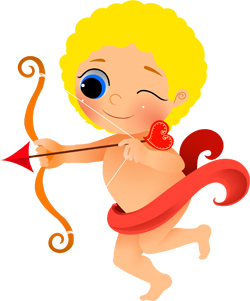 Clip art of a curly-headed cupid complete with bow and arrow. 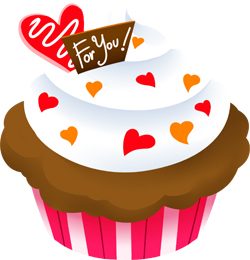 Clip art of a cupcake topped with white icing and colored heart-shaped sprinkles. 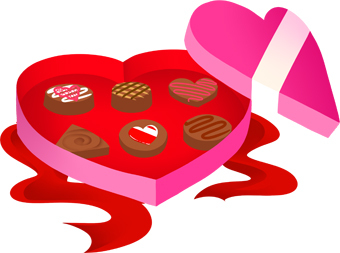 Clip art of a red heart-shaped box of chocolates with a colorful ribbon. Clip art of a young gentleman in formal attire carrying a heart-shaped box of candy and a bouquet of red roses. 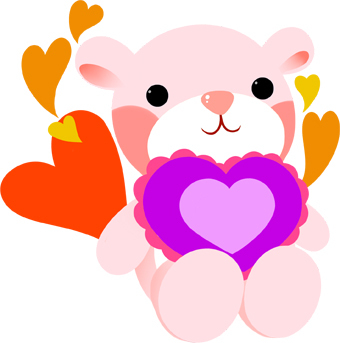 Clip art of a pink teddy bear holding a big red and purple heart. 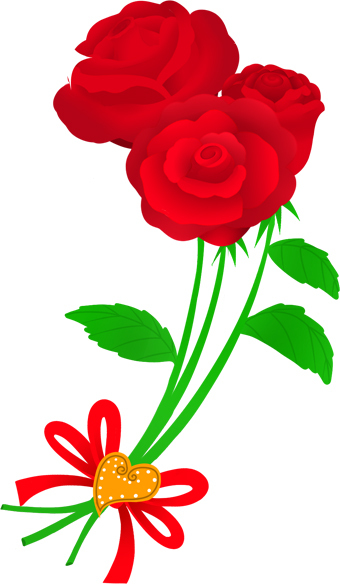 Clip art of a trio of red roses held together with a red bow. 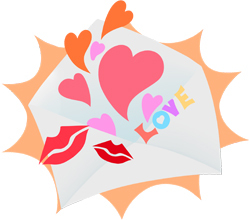 Clip art of an envelope exploding with hearts and kisses. 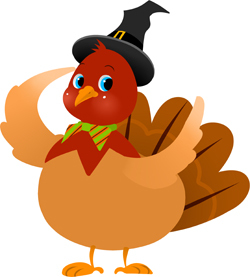 Clip art of a big Thanksgiving turkey wearing a black Pilgrim had and a colorful bow. 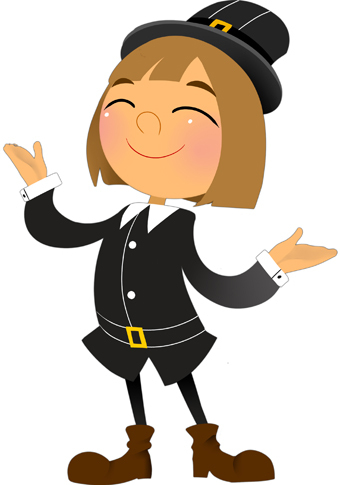 Clip art of a smiling Pilgrim wearing a black hat with shiny buckle. 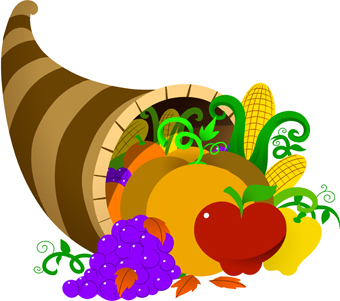 Clip art of a horn-of-plenty filled with squash, corn, apples, grapes, and other produce. 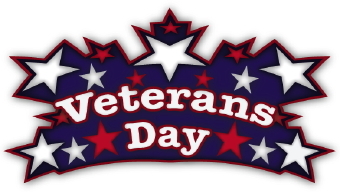 Clip art of the words “Veterans Day” surrounded by red, white and blue stars. 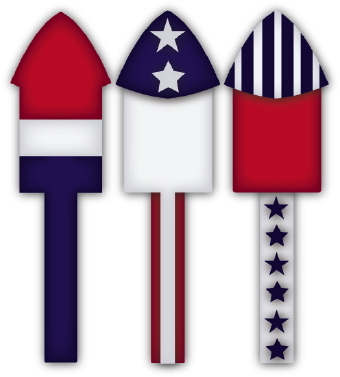 Clip art of three patriotic rockets decorated in red, white and blue stars and stripes. 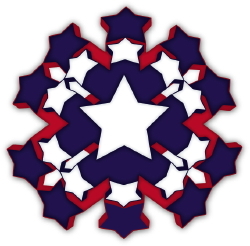 Clip art of a patriotic Independence Day flower made out of red, white and blue stars.